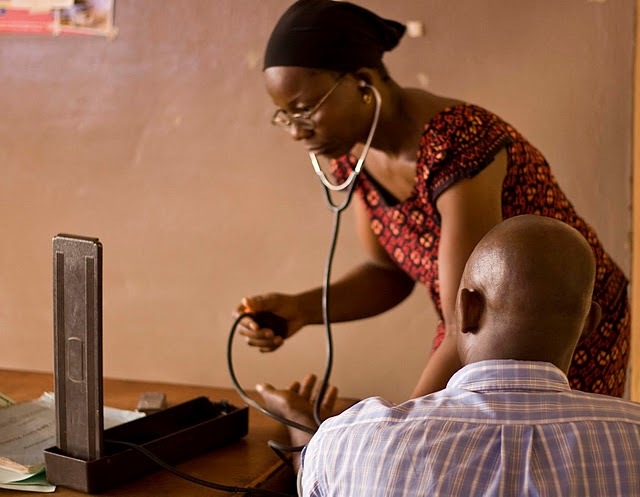 A Non-Governmental Organisation (NGO) Christian Aid Nigeria (CAN) has said over 70 per cent of health centres in the country are below standard. In a recent report carried out by the organisation in 73 Primary Health Centres (PHCs) across five states revealed poor standards, weak infrastructure and a dearth of services, adding that at least seven in ten of them are below standard. The five states are Anambra, Benue, Kaduna, Plateau and the Federal Capital Territory (FCT). "Over 70 per cent of the primary healthcare centres we looked at fell below standard. 60 per cent lacked adequate healthcare personnel. That's a big question. Where is the money government says it has deployed to health care? How is it trickling down to state and local governments where it is used?," Usie asked. According to him, nearly half of the centres in Anambra, Benue, Kaduna, Plateau and the Federal Capital Territory (FCT) had cracked walls, and 58 per cent of them had leaking roofs, stressing that eighteen (18) facilities visited did not have security fencing, and many didn't have a means of identification even though half of them could be easily identified with a signpost. The report also found out that only 38 per cent of the facilities were connected to the national grid while others relied on solar panels and generators as their sole or alternate means of electricity. The report revealed that twenty-two facilities alone used borehole water supply recommended by the National Primary Health Care Development Agency (NPHCDA); 31 others relied on rainwater, dug wells, surface water, noting that only five of the facilities had a water outlet within 500 metres, and none had any toilet facilities at all, while four had an ambulance for emergency services. He explained that the findings of the assessment will be used to engage relevant government ministries, department and agencies (MDAs) at local and state levels for healthcare planning, resourcing and providing adequate and sustainable healthcare to Nigerians. "The dissemination event will also serve as a platform to mobilize/galvanise both government and private sector to push for the expansion and coordination of community health insurance as a means to achieving universal health coverage at all levels particularly at rural communities where there is an established need," he said.